Recommendation from shortlist of five put before the Board w/e 24th March 2002: Press Release ‘The Board of Edinburgh International Conference Centre (EICC) today (19 March) approved Building Design Partnership (BDP) as the lead consultant of the multi-disciplinary Design Team who will create the design of the EICC additional function space development project. The decision, following detailed work by an in-house team working with The City of Edinburgh Council over the last six months, and compliant with OJEC (Official Journal of the European Community) Regulations, will take the ambitious project forward to detailed design stage (RIBA Work Stage E). ‘This is the first key milestone in the project since our initial announcement last September. Our intention is to double the additional function space within the Centre and to seamlessly add an extra 2000 square metres of high quality high specification space below street level. This has been received really well by conferencing and business specialists’. ‘The site, above and below ground, is a trophy site in an area that has become synonymous with success. Below ground, the development of the EICC is crucial to its continued success in a highly competitive market, whilst above ground the prestigious office space will confirm Edinburgh as one of Europe’s leading financial centres’. Following initial enquiries from sixty companies worldwide, a series of questionnaires and interviews were carried out on prospective teams. Building Design Partnership came out on top and clearly led the field. The BDP multi-disciplinary team will comprise an Architect, Quantity Surveyor, Services Engineer, Structural/Civil Engineer, Traffic Consultant, Acoustic Consultant and a Planning Supervisor. The team will be responsible for tasking forward the detailed design of the project. 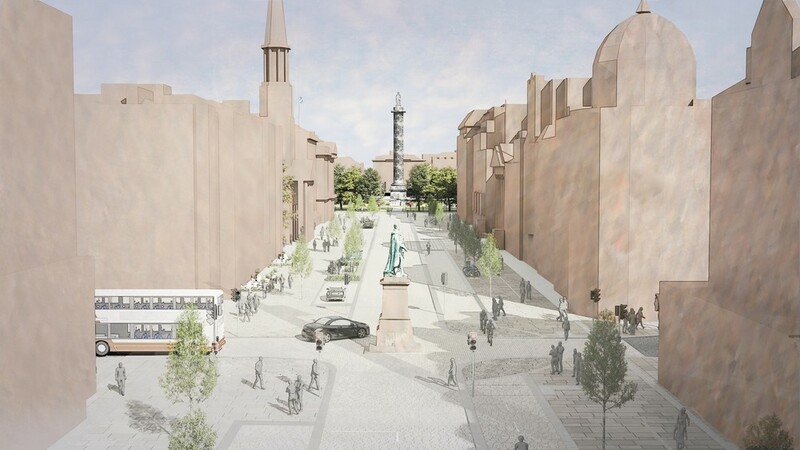 Following detailed design work, the Morrison Street car park area adjacent to the Edinburgh International Conference Centre, known as site HI from the original Exchange masterplan, will be put out to tender and redeveloped following extensive marketing on the open market. The cost of the new EICC function space will be in the region of £25m and will be funded through the sale of rights to develop site HI above ground for the construction of approximately 15,000 sqm of high quality prestigious offices, estimated to cost a further £25m. The subterranean extension will seamlessly join to the EICC’s existing below street-level facilities and will be fully coordinated in quality, décor and fit-out with the current facility. The greater capacity and scope of an expanded Edinburgh International Conference Centre will more than double the economic benefit brought to Edinburgh and Scotland every year, from £17m to £39.5m by 2010. Since the Edinburgh International Conference Centre opened in 1995, it has generated over £90m of economic benefit for the City of Edinburgh – which is today ranked 12th by the International Congress & Conventions Association (ICCA) in world congress destinations. Councillor Lezley Cameron concluded: ‘The EICC has an excellent reputation world-wide and today’s announcement will ensure that we continue to lead the field. This also demonstrates the vision and commitment of The City of Edinburgh Council to develop and enhance the reputation of Edinburgh in the global conference market’. 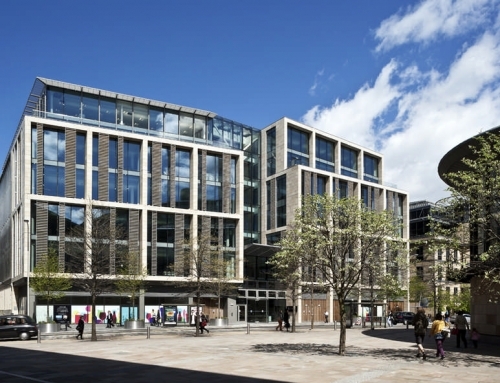 Site HI is the last remaining site to be developed in the plans for the Exchange District, which were devised and developed by the City of Edinburgh Council and Scottish Enterprise Edinburgh and Lothian, and developed by EICC Ltd. The next key milestone will be in the autumn of 2002 when detailed design plans (Stage E) have been agreed. Construction is on course to begin in the summer of 2004 with the development opening two years later. Recommendation chosen from shortlist of five put before the Board: Press Release The Board of Edinburgh International Conference Centre (EICC) on 19 March approved Building Design Partnership (BDP) as the lead consultant of the multi-disciplinary Design Team who will create the design of the EICC additional function space development project at the Morrison Street car park area adjacent to the EICC, known as site HI from the original Exchange masterplan. 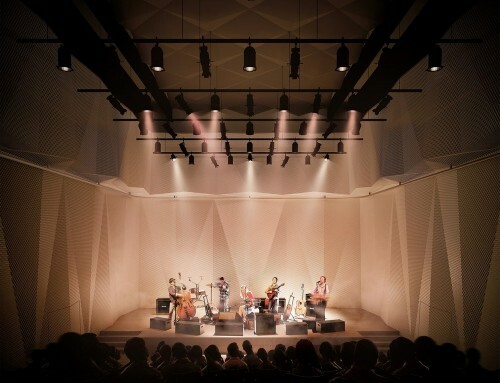 The cost of the new Edinburgh International Conference Centre function space will be in the region of £25m and will be funded through the sale of rights to develop site HI above ground for the construction of approx. 15,000 sqm of high quality prestigious offices, estimated to cost a further £25m. The subterranean extension will seamlessly join to the EICC’s existing below street-level facilities. The next key milestone will be in the autumn of 2002 when detailed design plans (Stage E) have been agreed. Construction is on course to begin in the summer of 2004 with the development opening two years later. Development of Plot H/I: CEC issued guidelines in Aug 2003 on how to develop this site in relation to The Exchange masterplan, developed in 1989 by Terry Farrell & Partners for the Caledonian Railway Station site. 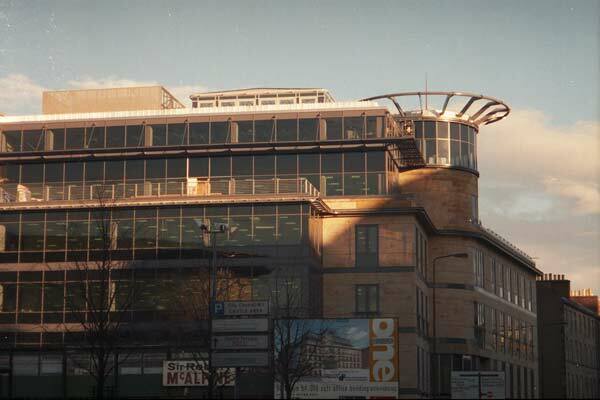 The nature of the competition was EICC Ltd’s desire to have additional function space for the Edinburgh Conference Centre in exchange for development rights for the office accommodation above. The function space brief was for 7000 sqm with 16000 sqm of Class A office accommodation and 155 sqm of retail space. 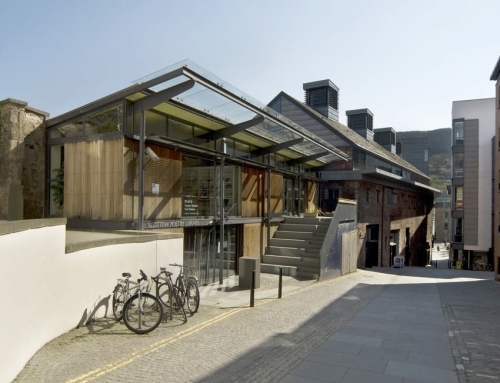 The additional function space was to be integrated with the Edinburgh Conference Centre at ground and two basement levels. The EICC expansion would share the gorund floor with an element of retail onto Morrison Street. The Additional Function space on the lower floors was design ed to RIBA Stage E by the existing design team appointed by EICC Ltd.
Edinburgh International Conference Centre Ltd is wholly owned by the City of Edinburgh Council. The Edinburgh Conference Centre opened in 1995. The EICC Additional Spaces Facility site is the last to complete in the Terry Farrell Exchange Masterplan. This proposal was developed for Grosvenor. 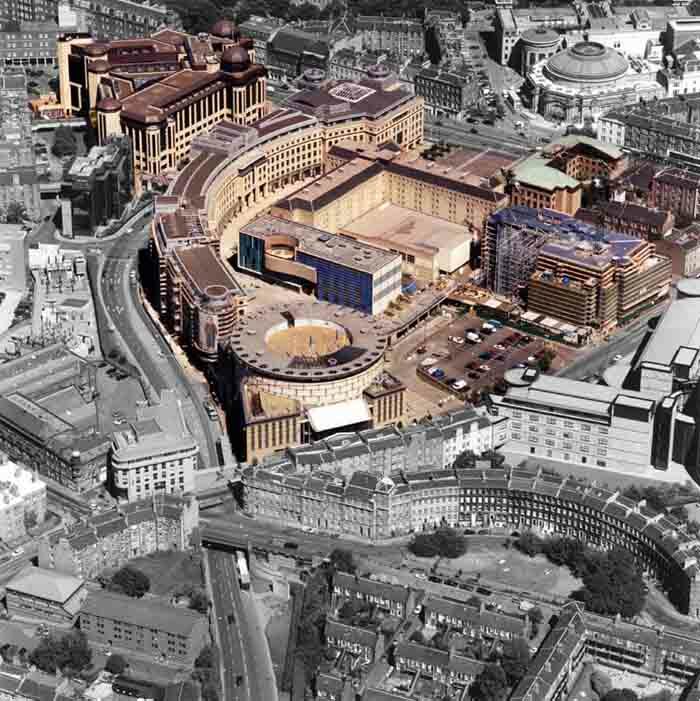 The HI site development aimed to relate to the adjacent Edinburgh Conference Centre and to the Edinburgh One offices while responding to Festival Square to the north and the Scottish Widows HQ and entrance square to the south. The extension to EICC (not envisaged in the original plan) and the HI site will complete The exchange masterplan. The other CEC-organised Edinburgh Business Zone is Edinburgh Park. 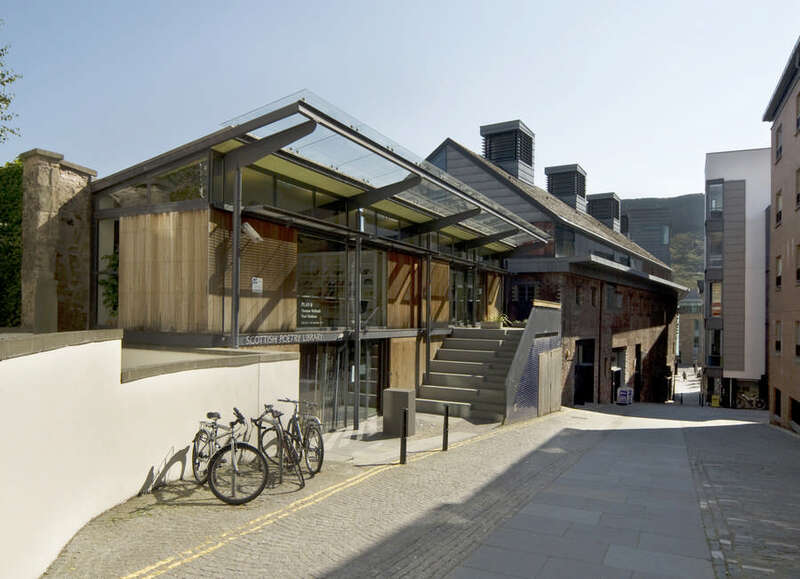 “Terry Farrell has personally intervened on a £26m Building Design Partnership (BDP) scheme to extend his Edinburgh International Conference Centre, causing the practice to substantially alter the scheme. Farrell intervened to reduce the scale and height of the scheme because of fears that the extension would clash with his orginal design. 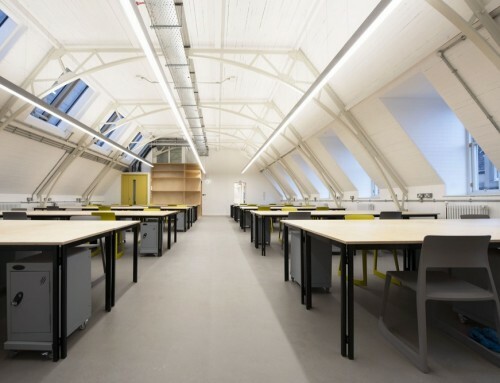 Duncan Whatmore, director of Farrell’s Edinburgh office, said the changes were made to ensure the extension “was sympathetic to the geometry of the orignial building”. 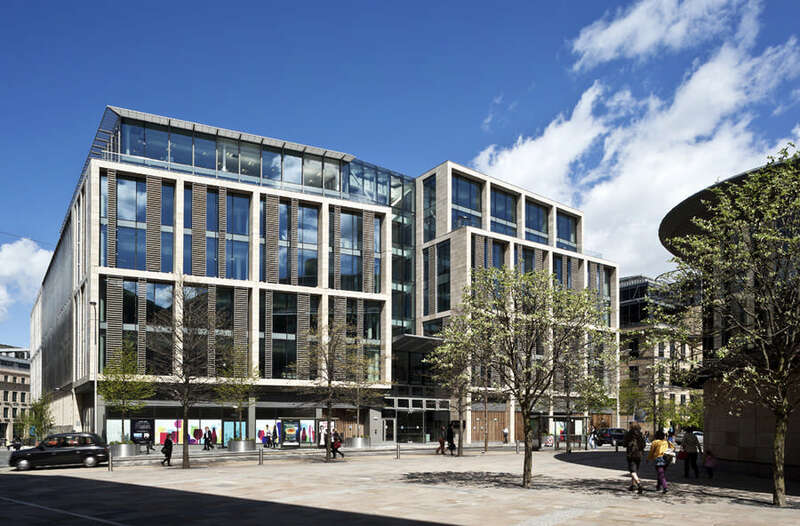 The move has cost the client Edinburgh council an estimated £60,000 in extra fees as BDP had had to reconfigure the layout and operation of the complex extension. The majority of BDP’s 2,000 sqm extension is underground, but Farrell was concerned that the proposed glass atrium entrance to the complex above ground would break with the style of his surrounding masterplan for the 4.2ha Exchange site in west central Edinburgh. Graham McClements, director at BDP, told BD that Farrell was concerned “over the link between his building and our building. They have to be separate in the way they are read”. Ruth MacDonald, senior surveyor for Edinburgh council, said: “Initially, we had plans for a large structure, but once we spoke to Terry Farrell we scaled it down quite a lot to keep it down to ground-floor level. It was a difficult job as we have to make it add up financially in terms of office space”. 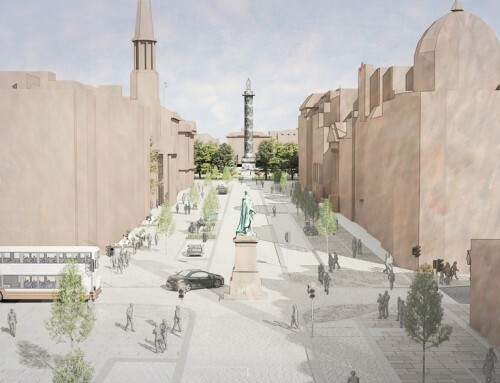 Farrell was able to force BDP to reduce the scale of the scheme because he drew up the original masterplan for the Exchange site and Edinburgh council officials look for his approval before they grant planning permission for any scheme on the site. The Edinburgh International Conference Centre is considered the centrepiece of the Exchange masterplan, but Edinburgh council wants to extend the complex in order to keep pace with international competition and to increase profits.